The 2015 Corvette Z06 has a lot in common with the ZR1 last produced in 2013, including an Eaton "Roots" type supercharger centrally located between the cylinder heads. But the 2015 Z06 has a smaller supercharger - 1.7L vs. 2.3L in the 2013 ZR1 via shorter rotors in the R1740 TVS model. 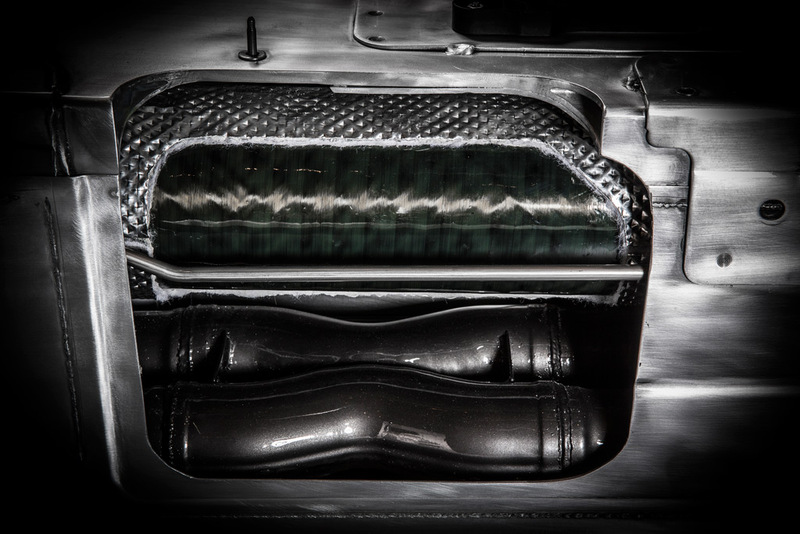 The smaller supercharger does rev to 20,000 RPM, almost 5,000 RPM faster than its 2013 LS9 counterpart. 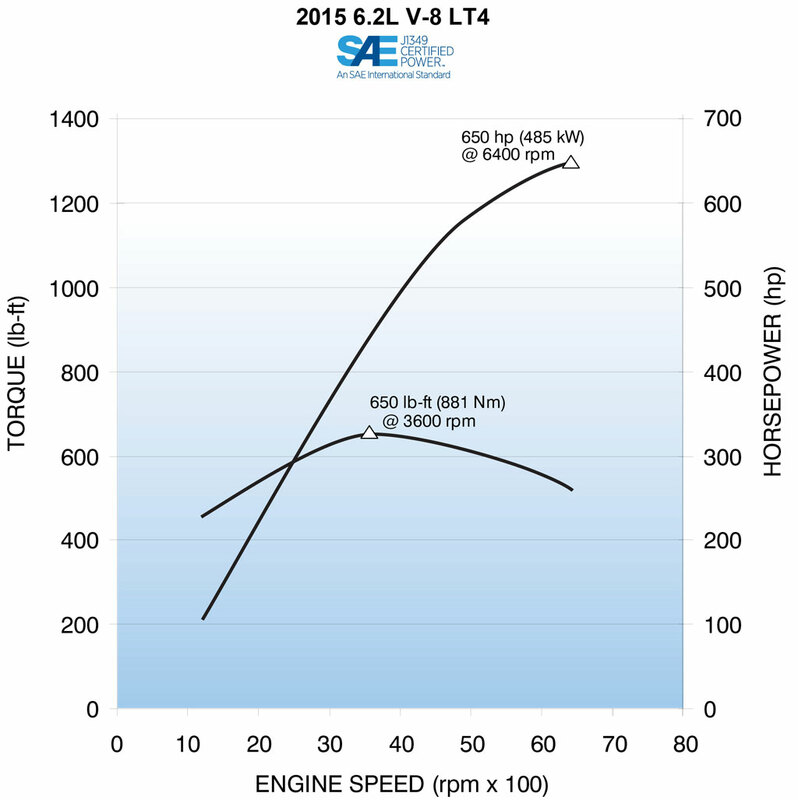 The smaller rotors also allow it to speed up faster, making more power available earlier in the RPM range. 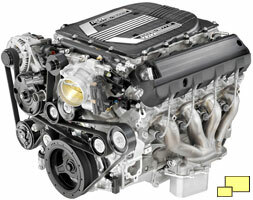 The engine designation for the 2015 Z06 is LT4, distinguishing it from the LT1 motor installed in the non-Z06 Stingray. 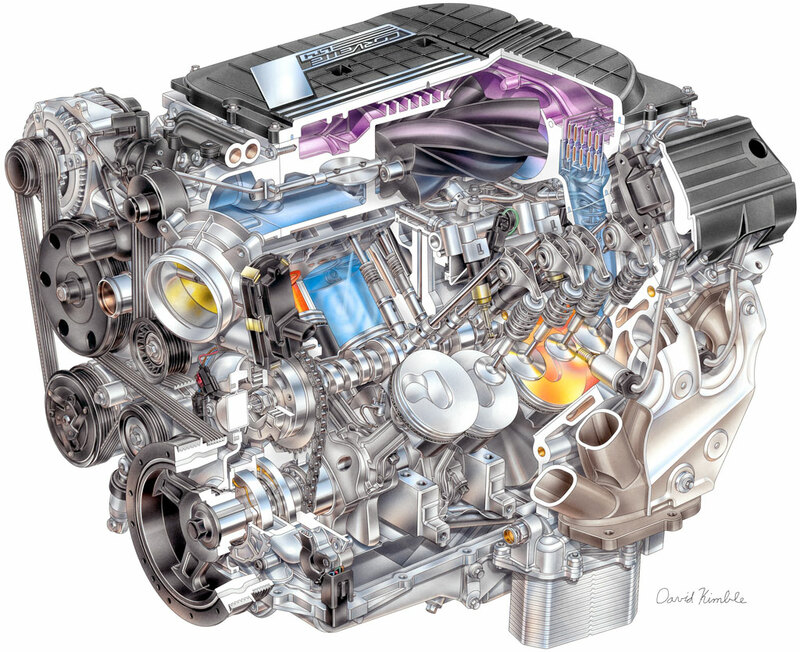 Other technologies introduced with the C7 LT1 motor, including Direct Injection, Active Fuel Management and Variable Valve Timing are part of the 2015 Z06 LT4. 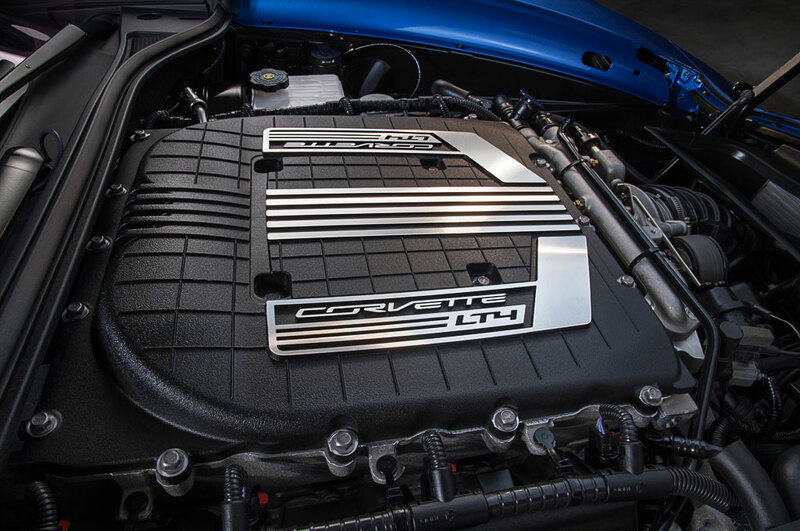 The Z06's LT4 supercharged 6.2L V-8 engine is SAE-certified at 650 horsepower (485 kW) at 6,400 rpm and 650 lb-ft of torque (881 Nm) at 3,600 rpm. 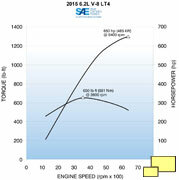 That's 12 horsepower more than the similarly supercharged 2009 thru 2013 C6 based ZR1. 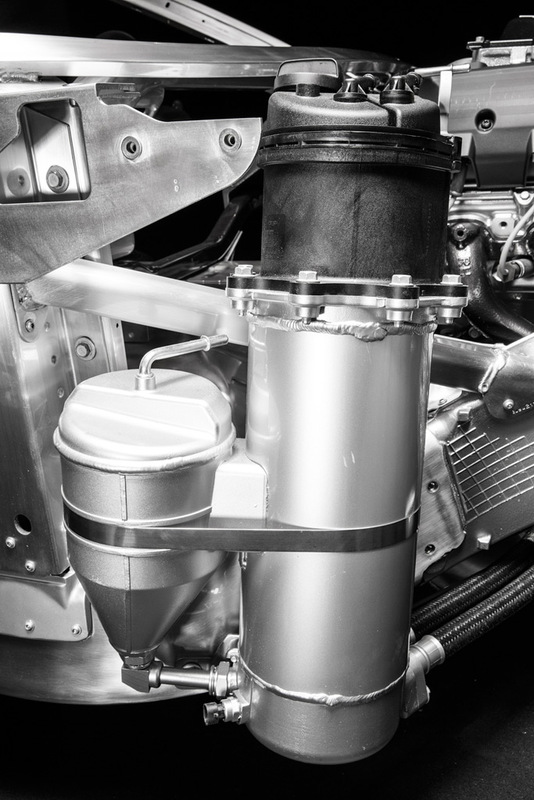 A dry sump lubrication system attests to the serious race track credentials of the Z06 LT4 engine. 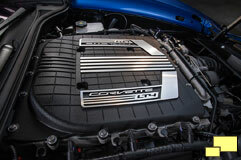 It is the same as what is available in the Z51 equipped Stingray although GM is promising more oil capacity. 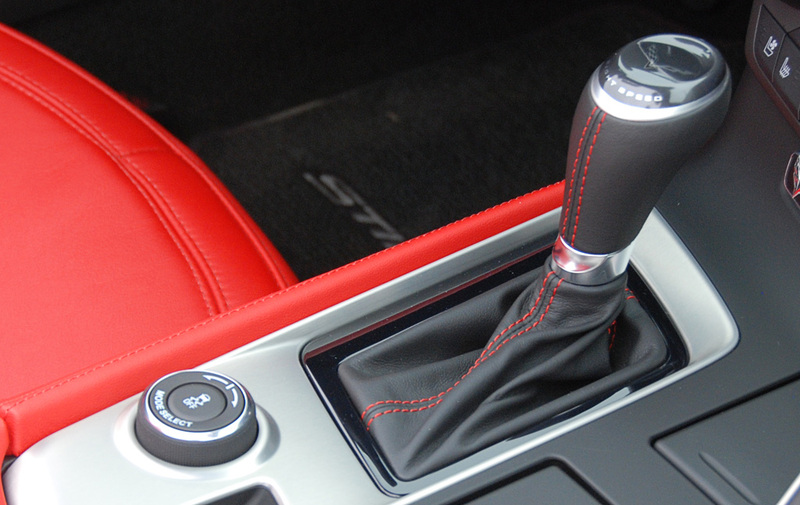 Amidst some consternation on the part of the Corvette faithful, an eight speed automatic transmission is available on the 2015 Corvette Z06. 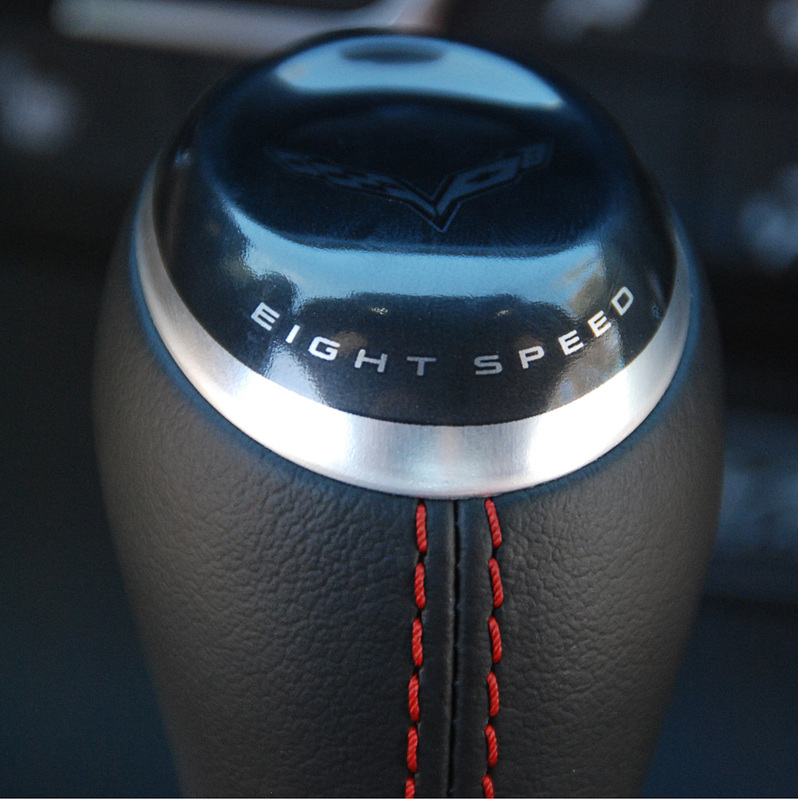 There were 57,892 Corvette Z06s produced over 13 model years including the C2, C5 and C6 generations and they were all of the three pedal configuration. The Corvette has been a car with considerable history and tradition over its 60+ years of production, all of which is taken seriously. But, as the song says, the times they are a-changin' and transmission technology has progressed to the point where two pedal cars had performance advantages, mostly due to their ability to shift faster. 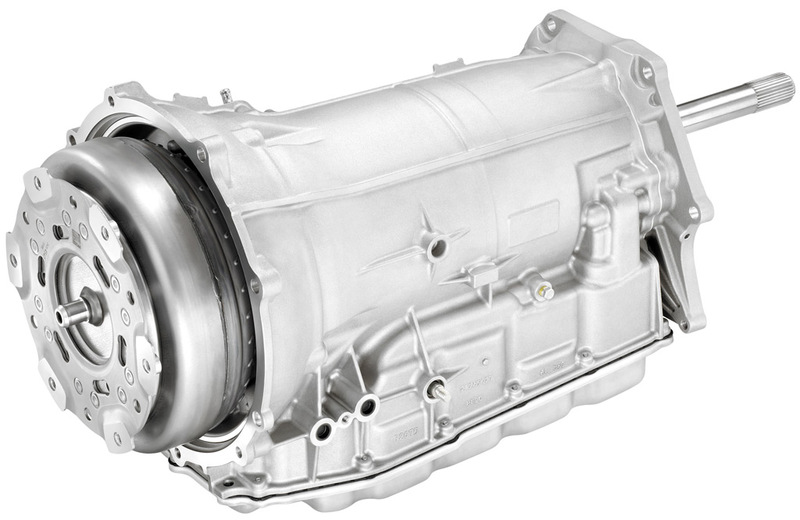 Above Left: the Hydra-Matic 8L90 (M5U) Eight-Speed RWD Auto Transaxle available in the 2015 Corvette Z06 is built by GM. GM claims it is more than 8 pounds (4 kg) lighter and five-percent more fuel efficient than the six-speed automatic it replaced. 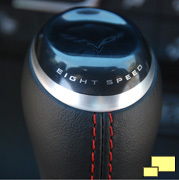 It is available on the standard and Z06 2015 Corvettes. Right: The new eight speed automatic, installed with the eLSD differential. 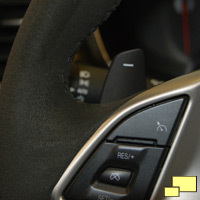 Below: The downshift and upshift paddles. A dual clutch transmission was not selected due to space limitations and problems with the Active Fuel Management (cylinder deactivation); apparently a torque converter is needed to control vibrations while transitioning from V8 and V4 modes. 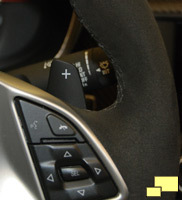 GM claims wide-open throttle upshifts are executed up to .08 seconds quicker than those of the dual-clutch transmission offered in the Porsche 911. 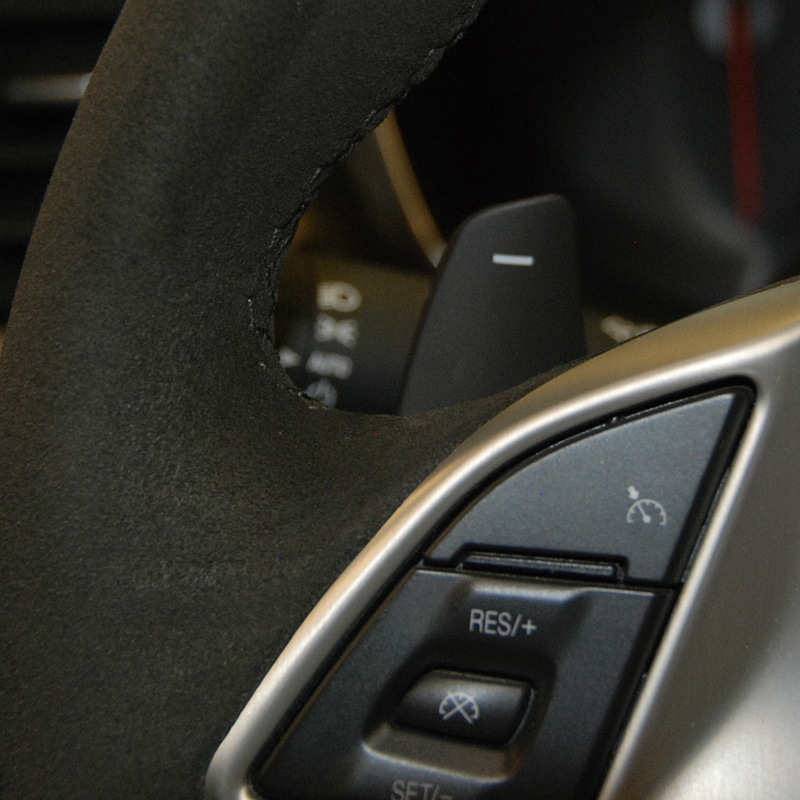 Full manual control is available via steering wheel paddles. 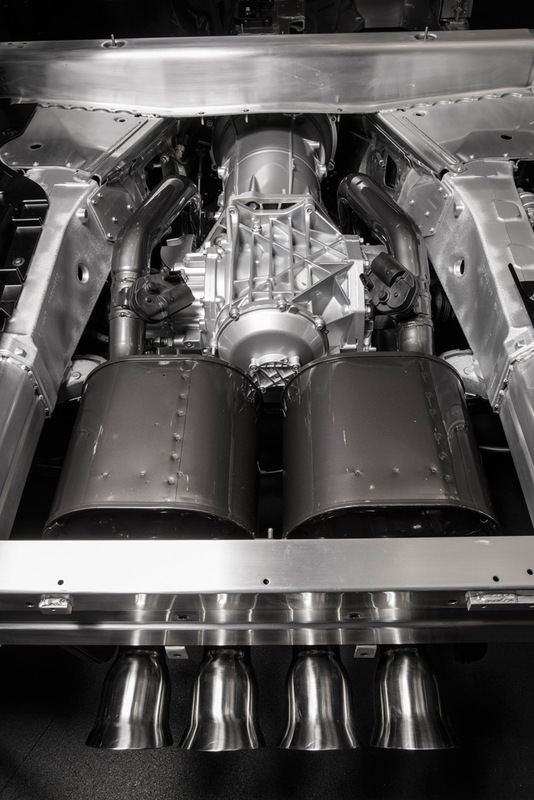 Demonstrating the rich history of the Chevrolet Corvette is the fact that in the 60+ years it has been in production, Corvettes have been built with two, three, four, six, seven and now eight speed transmissions. Strangely enough, a five speed transmission, long the hallmark of performance cars, has never been available in a Corvette. 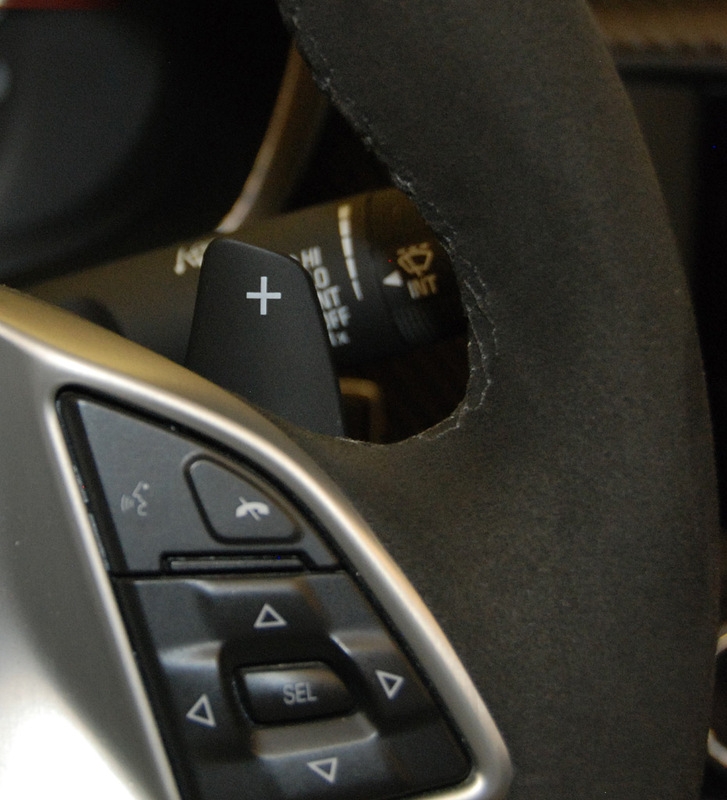 Traditionalists can still have it their way as the full manual, three pedal, seven speed transmission available on the Stingray is standard equipment with the 2015 Z06. 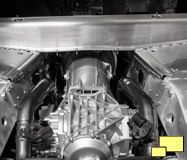 The 2015 Corvette Z06 features, according to GM, the industry’s first carbon-fiber torque tube, which provides structural support between the engine and transaxle. It is bolted to aluminum bell housings at both ends. Unfortunately it is hidden so it will require a visit to the parts department to enjoy its fiberous beauty.